We are a leading brand in Attendance Payroll Sheet such as Time Attendance Systems, Online Attendance Marking Payroll Software, Employee Self Service Payroll Software, HR & Payroll Integration Payroll Software, Business Intelligence, Business Rules and many more items from India. 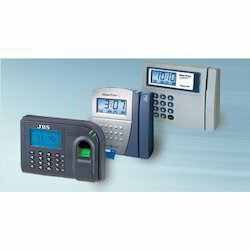 Reduce your efforts by maintaining and tracking attendance automatically. greytHR provides powerful attendance management system that works seamlessly with any type of time tracking hardware like biometric devices, RFID, smart cards, etc. If you already have the attendance hardware, we will integrate it with greytHR and pull all the swipes from the application supplied with your hardware. The attendance software also allows employees to mark attendance online using the browser, without requiring any hardware based time-tracking devices. ou experience HR bliss when attendance, leave (vacation), holiday calendars, and payroll all work seamlessly in an integrated fashion. 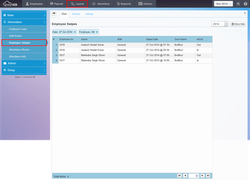 You get a smarter system that gives a more accurate and complete picture of employee attendance. Reduce your efforts by maintaining and tracking attendance automatically. greytHR provides powerful attendance management system that works seamlessly with any type of time tracking hardware like biometric devices, RFID, smart cards, etc. The attendance software also allows employees to mark attendance online using the browser, without requiring any hardware based time-tracking devices. ou experience HR bliss when attendance, leave (vacation), holiday calendars, and payroll all work seamlessly in an integrated fashion. You get a smarter system that gives a more accurate and complete picture of employee attendance. 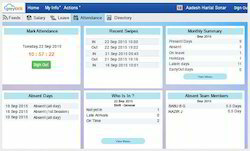 Looking for Attendance Management ?